Pepsi Pink, a blend of ingredients that essentially tastes like carbonated strawberry milk, is the latest wacky soda flavor to hit Japan. 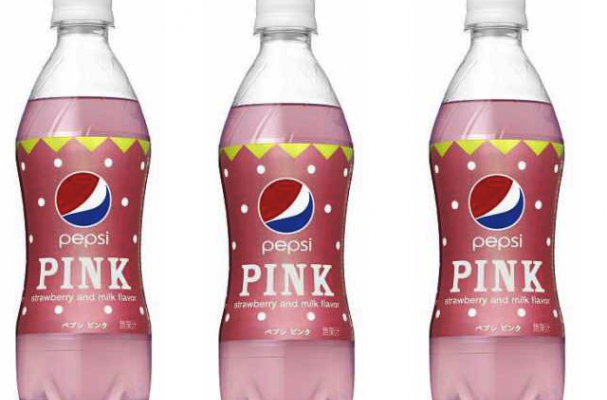 Pepsi is releasing Pepsi Pink in time for the holidays, and notes that the "gorgeous pink cola" is "suitable for the winter party season." Milk and cola might not be your idea of a party-friendly beverage, but Pepsi Pink advertises a "rich aroma and refreshing taste." The limited-edition soda will be available starting Nov. 8, 2011.